What are your thought on Yale University’s use of the Dartmouth Indian mascot? This debacle is Exhibit A of the disconnect between intent and outcome. As with all microaggressions, I prefer to work off the premise of an assumption of goodwill. That is, that the designers of the Dartmouth-Yale football program covers were not purposefully perpetuating racism, but did so nonetheless. Moderation is key in mediating the aftermath; learning — not shaming — is our end goal. On one hand, there’s no need — and should be no tolerance — for cruel, public shaming of the offenders. Personal insults and social media humiliation only increase collective hurt, polarization and misunderstanding. On the other hand, the Yale Athletics Department should be empathetic and apologetic to those who find their publication problematic and particularly cognizant not to make the same mistake in the future. Because Yale University has already issued an official apology and faced a fair amount of media scrutiny, I expect that the Yale students involved have learned their lesson and will demonstrate increased sensitivity in future publications. Case closed. 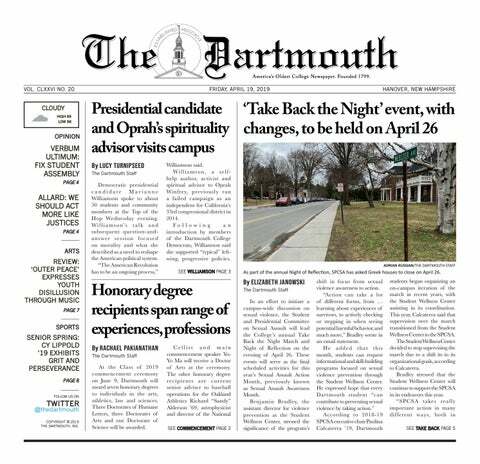 As members of the Dartmouth community, we must not ignore our history. I am not proud of our old mascot, but a discussion about what it portrayed and its continued relevance should not be swept under the rug. We should be honest about our past and proud of our present. I think the public backlash is sufficient for the issue at hand. Yale University carelessly published some old program covers featuring inaccurate representations of Native Americans, realized its mistake after the public criticized the university for perpetuating racist stereotypes and is making an effort to reconcile the situation. Yes, I agree that Yale made a mistake by not considering the impact its actions would have on the Native community ­— a community that has been marginalized by Ivy League schools since their inception. However, I don’t think Yale intentionally meant to insult the Native American people. Given that Dartmouth’s mascot was the Indian for a good number of years, trying to find a program cover without the Indian is difficult. Yale’s intention was simply to honor a long tradition of competetive football between the two schools, but they unfortunately decided to go about it the wrong way. Being angry and accusing the university of intentional racism, however, goes a step too far. Instead, Yale should work with the Native community to foster a safe environment for discussing and appreciating of Native history and culture. This topic only just recently came up in conversation when a friend and I, while looking through images of Dartmouth’s annual Homecoming bonfire over the decades, stumbled upon an old picture of a student dressed in Native American garb and wearing what appeared to be redface. The image was appalling, and I was immediately taken aback. I thought, “I can’t believe people used to do this” — and yet the fact remains that they did. The fact remains that Dartmouth has a history of discriminating against people of color, excluding women and caricaturing Native Americans — a history that is manifested in the Yale-Dartmouth football game program covers and a history that will never go away. So instead of futilely attempting to bury this deeply problematic history, we should keep it in mind as a reminder of what once was and of how far Dartmouth, not to mention society, has come since then. Moreover, let us look at it as a reminder of how far we have still yet to go. Erasure isn’t the answer — it is only an exacerbation of the problem.